And at no time of year is that more true than during Advent. Christmas carols seem to waft on a unique Holy Spirit breeze of blessing all their own. God’s gifts far surpass what is under the Christmas tree. the blessings of his heaven” (1). Jesus brings wisdom and contentment to our lives. our confidence and joy shall be” (2). He is our Emmanuel, God with us. Love is Jesus within and among us” (3). He has made it possible for us to spend eternity with him in heaven. “Jesus Christ was born for this! And man is blessed forevermore” (4). The day is coming when we will be privileged to sing with the angels, “Hallelujah! For our Lord God Almighty reigns” (Revelation 19:6)! Which now the angels sing” (5). Now that will be a song wafting on a Holy Spirit breeze of blessing. Can you imagine the scene? Thousands of us in row after row singing our praise to God and celebrating the Prince of peace, our King. Perhaps we’ll sing harmonies never even dreamt of on earth. And in a perfect heaven with perfectly miraculous acoustics, not only will we be able to hear the voices of those nearby, but the composite whole of the largest, grandest choir ever to sing. Will there be those who stand in silence and choose not to participate? Impossible. How about folks who barely open their mouths and just whisper-sing? No, I can’t see that happening either. Every blessing of heaven is now ours (1)—blessings we can’t even imagine now because we’re so limited in our knowledge and understanding. Our confidence in Jesus has been rewarded beyond imagination (2). Our loving, Savior is finally with us in Person as well as in Spirit (3). Eternal bliss will be ours forevermore (4). 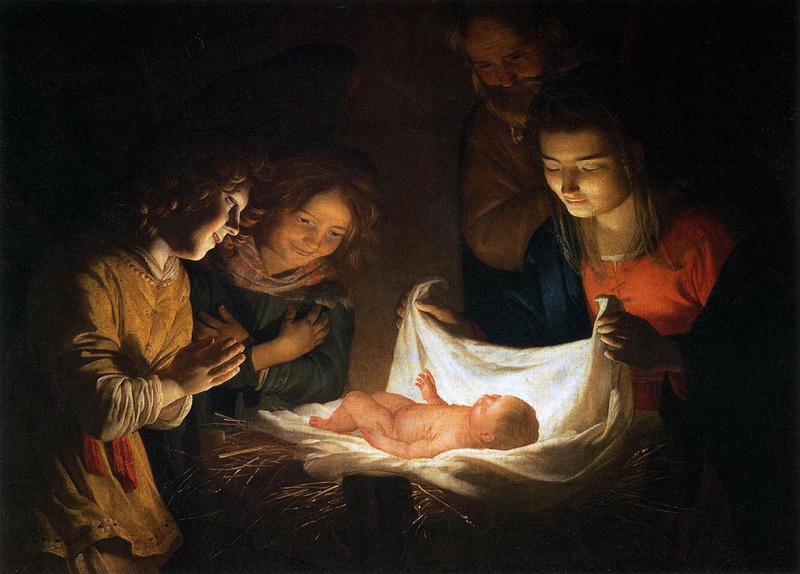 We’re able to join the angels in glorious song for the Prince of Peace our King (5). But there’s no reason to wait until we’ve joined the angel choir. We can sing as if performing for our King now. Sing a song of Christmas, my friend, on a Holy Spirit breeze of blessing! 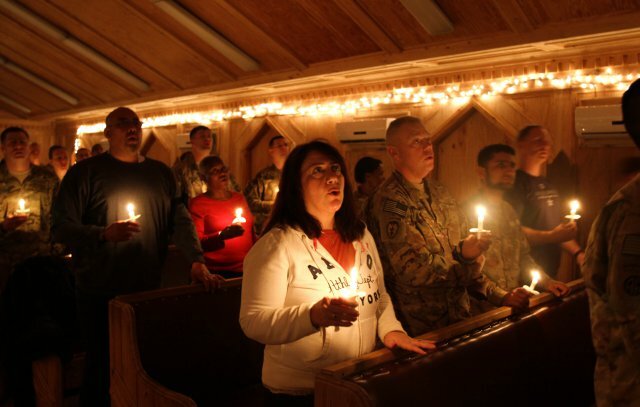 “O Little Town of Bethlehem,” verse 3, line 2. “Break Forth, O Beauteous Heavenly Light,” verse 1, lines 3 and 4. “Love Has Come,” verse 3, lines 1 and 2. “Good Christian Men, Rejoice,” verse 2, lines 2-4. “It Came upon the Midnight Clear,” verse 3, lines 3 and 4. *from the Foreword of The Celebration Hymnal, Integrity Music, 1997. Which Christmas carol wafts a breeze of Holy Spirit blessing through your spirit? Tell us about it in the comment section below! I love all those Christmas Songs you mentioned. I wish I knew of a group or church that still goes out and sings Christmas Carols to shut ins and others. I, too, have fond memories of caroling with church friends. I wonder why the tradition has gone by the wayside? I love that phrase, too! Jack Hayford always did have a gift for putting words together. And I’m so delighted that you–a younger person!–appreciate the depth of the oldies! Merry Christmas-singing, Rebeca! This is a great time of year for hymns. 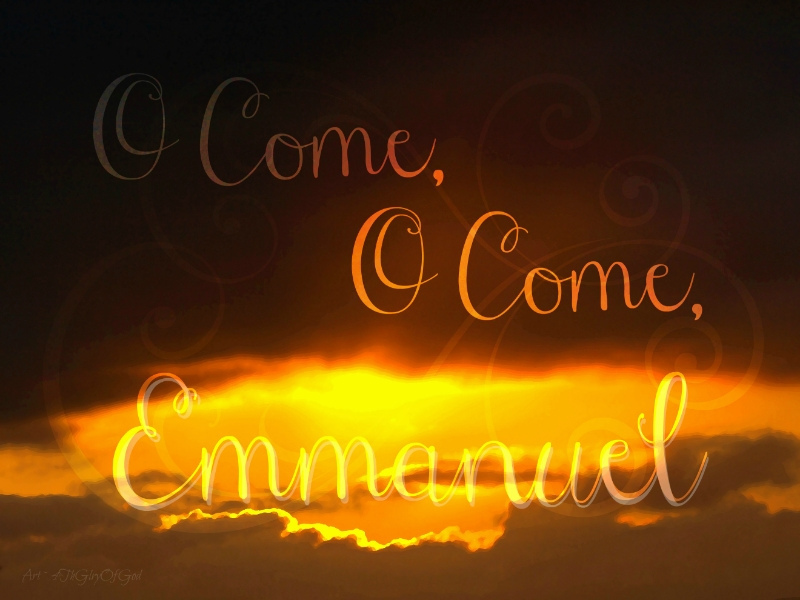 I just wrote a blog post to appear in a few weeks about Oh Come Oh Come Emmanuel – that is one of my favorites. Can’t wait to hear music in heaven – that will be something! I’ll look forward to that post, Jean. So much meaning in that one Name, Emmanuel! Just read Revelation 5 this morning and marveled at the image described in vs. 11-13: thousands upon thousands of angels, living creatures, elders, and “every creature in heaven and on earth and under the earth and on the sea, and all that is in them, singing.” OH MY!!! There is so much of the Gospel wrapped up in Christmas carols, yes indeed. I agree with Jean W.- Oh Come O Come Emmanuel is a rich favorite. O Come, O Come, Emmanuel is probably the oldest carol still sung today, dating back to the ninth century (according to Ace Collins in his book, Stories behind the Best-Loved Songs of Christmas). That fact adds to its richness, I think, as I imagine Christians over twelve centuries singing the same carol! 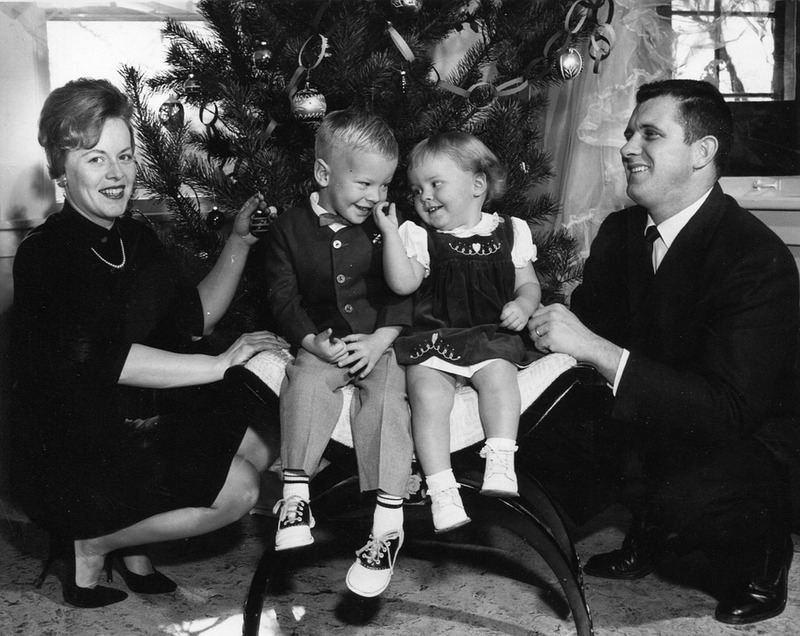 Merry Christmas to you and yours, dear Jody! Being partial to classical music, I love the ‘Hallelujah’ chorus from Handel’s ‘The Messiah’. Remember when we used to sing that at the final chapel at Taylor University before Christmas vacation, Nancy? I always looked forward to that. The counterpoint was rich and beautiful. I cannot wait to worship our Savior with this song in eternity where ‘He shall reign for ever and ever’! Oh, yes! 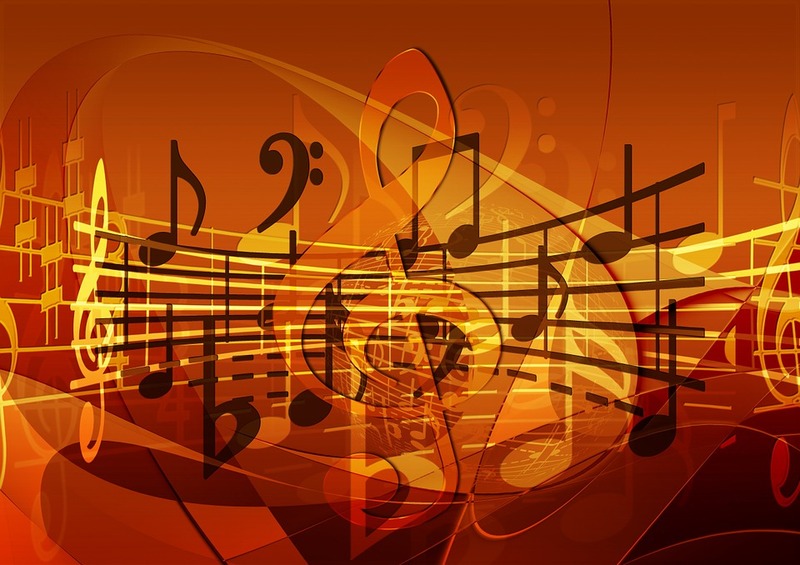 “Messiah” is one of the most inspiring musical compositions of all time! Steve’s and my first date was after the Oratorio Chorus at Taylor (we were both members) performed “Messiah”–in the gym. No auditorium in those days. Through the years we’ve had more opportunities to sing it. I, too, hope the Hallelujah Chorus is sung in heaven! P.S. I didn’t remember you were partial to classical music. It’s my favorite genre also. One more thing we have in common! Thanks for sharing your story, Nancy. What a great beginning for you and Steve! Also, I started to really love classical music while at Taylor in the fine arts class. I remember the professor ‘dropping the needle’ on a particular movement of a song and having us identify it. I thought that was fun! Great reminder that Christmas is just a warm up of the real thing. And what a great summary-statement for this post, Gary! Thank you, dear Nancy, for this wonderful reminder. My favorite, or at least the one that immediately popped into my mind, is “Come Through Long Expected Jesus”. Thank you for always pointing to Him. Oh, yes, “Come Thou Long Expected Jesus” includes plenty of worship-inducing lines, naming some of the glorious wonders Jesus brings into our lives: setting us free from fear and sin, providing rest, strength and consolation and more. Great choice, Heidi! Thank you, Laurie! The carols DO magnify the wonder, don’t they. I think you’ve hit on another important reason why we love them so.